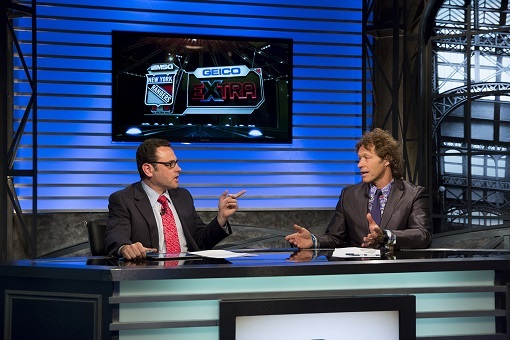 As part of a larger broadcast power play, MSG Network is producing exclusive NHL playoffs content highlighting the New York Rangers’ quest for the Stanley Cup. 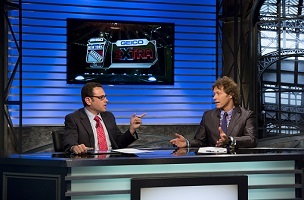 Each 45 to 60-second segment, which will be updated after every game, will feature MSG broadcasters Al Trautwig, Bill Pidto and former Ranger Ron Duguay as they recap the most recent action and look forward to the next game. Once patrons reach their destination, they can tune to MSG for extended post-game coverage following every Rangers playoff game this post-season. MSG Network is planning live game-day updates every 30 minutes, starting at 2 p.m., as well as special playoffs editions of The AV Squad with coach Alain Vigneault. NBC is carrying Games 2 and, if necessary, Game 5; on the taxi cab end, MSG is partnered with ABC. Finally, just to get things rolling, MSG is going down memory lane Wednesday with a look back at the Rangers-Flyers 1986 Patrick Division semi-finals series. Each of the five games from that classic series, won by the Rangers, has been whittled down to a two-hour block.